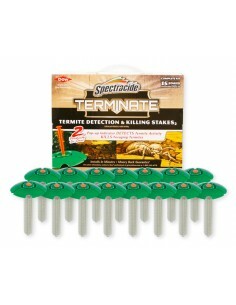 Spectracide Termite Killing Foam kills exposed subterranean, drywood and dampwood termites and carpenter bees. Kills on contact ! Treat infested areas and areas likely to be infested, such as wood surfaces, voids and tunnels in damaged wood, behind veneers, in structural voids (between stud walls and spaces between wood and foundations), along cracks and along crawl spaces. Termites coming in contact with the product will be killed. 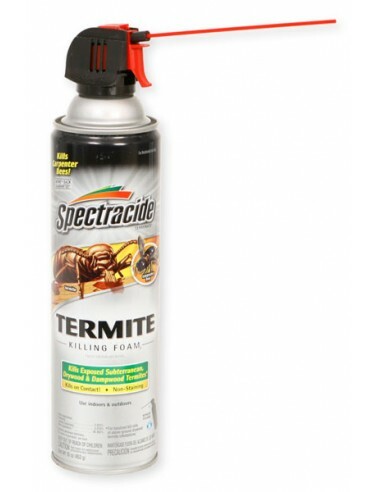 Spectracide Termite Killing Foam will kill workers and/or winged reproductive forms of termites present at the time of application only. 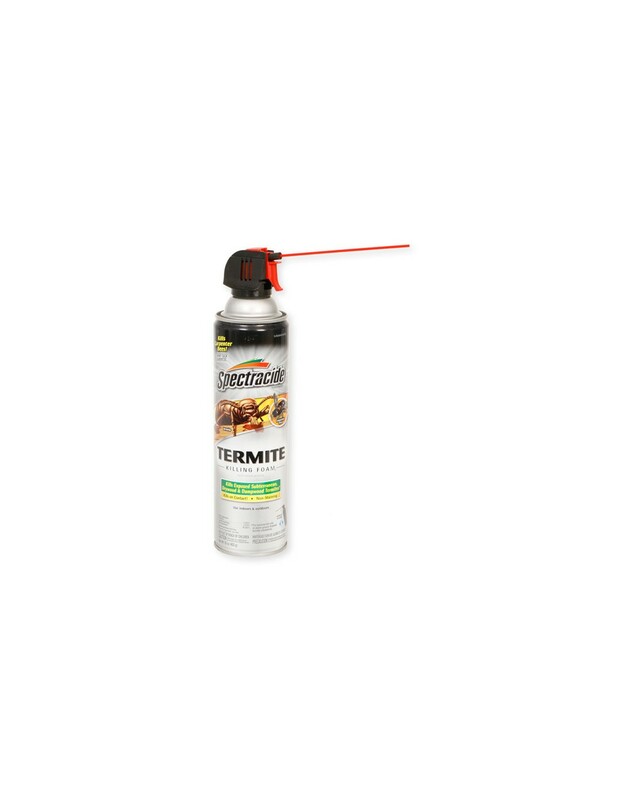 For active structural infestations by subterranean termites, this product can be used only to supplement application of a federally registered stand-alone termiticide. Application of this product will not provide structural protection nor substitute for mechanical alteration or soil or foundation treatment with termiticide.